Are rust stains a thorn in your side? 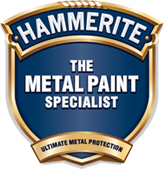 Hammerite offers specially formulated anti rust paint to be applied directly onto all kinds of metal surfaces. Hammerite Kurust is an anti rust stains paint that transforms rust to a sound surface in 15 minutes. Ideal for small areas of rust, stone chips and scratches.